Sesame Street (1969) : Série TV de 48 saisons et 2538 épisodes diffusée sur HBO. Casting, acteurs, bandes annonces et actualités. 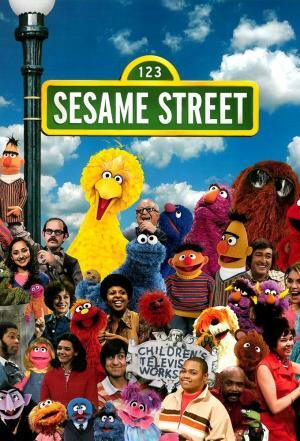 Casting de la série "Sesame Street"
S01E01 The First Sesame Street 10/11/1969 In the first episode of Sesame Street, Gordon takes a girl named Sally on a tour of Sesame Street, introducing her (and the viewers) to the various characters on the show. On the street, Sally meets the human cast -- Gordon, Susan, Bob and Mr. Hooper -- as well as two Muppet characters, Big Bird and Oscar the Grouch. Ernie and Bert appear for the first time, and Kermit the Frog gives a lecture on the letter W, interrupted by an early version of Cookie Monster. Also featured in this episode are the first installments of the "Number Song Series" and "Jazz" cartoons, the first appearance of a group of Anything Muppets, and the first performance of "One of These Things". Carol Burnett is the first celebrity guest to appear on the show. In this episode, many sketches are introduced by the characters, even within the inserts. This reflects the fact that the show was initially conceived as a children's version of Rowan & Martin's Laugh-In. For example, Gordon asks Kermit to give his W lecture, and when the sketch begins, Kermit says that Gordon asked him to talk about the letter W.
S01E33 Telly the Tiebreaker (repeat of 4169) 04/11/2008 Elmo, Zoe, and Rosita make a block house but can't agree whether to put a square or circle on top. S01E56 An Orange Grouch and a Green Grover 26/01/1970 An orange-colored Oscar demands a baked-bean sundae; Kermit the Frog explains the word "in". Gospel diva Mahalia Jackson sings "He's Got the Whole World in His Hands", Animations of "Solomon Grundy" and "Wanda the Witch" make their debut. S01E115 Kermit Croons Being Green 17/04/1970 Kermit sings the original "Being Green". Ernie and Bert perform the classic "Banana Telephone" skit, Muppet Roosevelt Franklin sings "I'm Roosevelt Franklin", Bob sings an early version of "Who Are The People In Your Neighborhood?" plus Cookie Monster eats Ernie's cookie, and Oscar calls "Dial-a-Grouch". S01E123 Here Comes Cookie Monster 29/04/1970 Here comes Cookie Monster! A prank on Bert backfires on Cookie and Ernie. Cookie's call to his mommy ends when he eats the telephone. Song "One of These Things" and animated ABC song.